Right from the start of his career Robin was totally committed to the design of low-cost, mass-produced furniture. 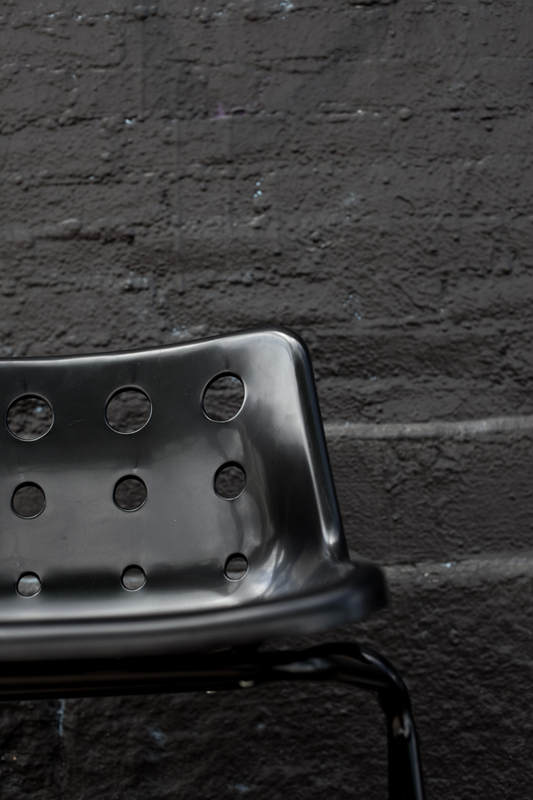 With the 1963 polypropylene chair for Hille, he achieved his ultimate goal. Light, strong, flexible, scratch-proof, heat-resistant and hard-wearing, polypropylene had numerous advantages over other materials in use at the time. Robin was the first designer to appreciate its potential for furniture and to overcome the technical and engineering problems involved in making the shell of a chair. Has this early venture into plastics for seating been a success? Fourteen million chairs of this design have been sold since 1963 which I think speaks for itself.